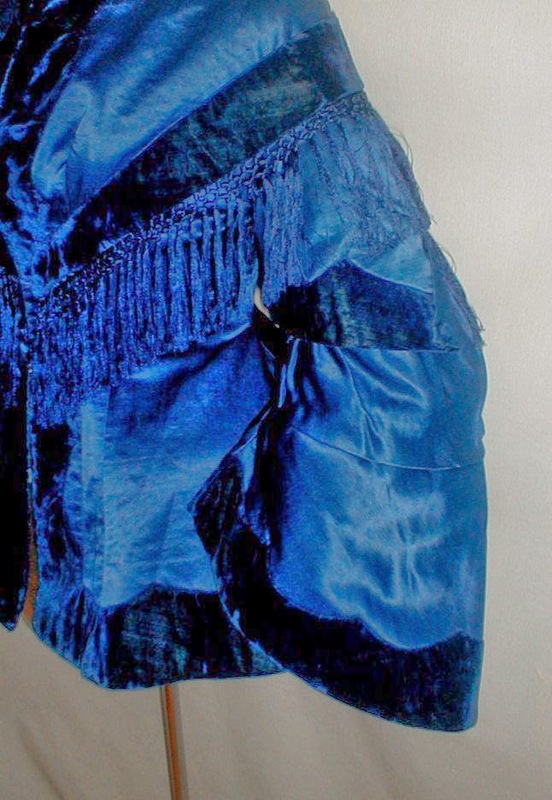 A sublime 1860’s Civil War era dark royal blue satin bodice. 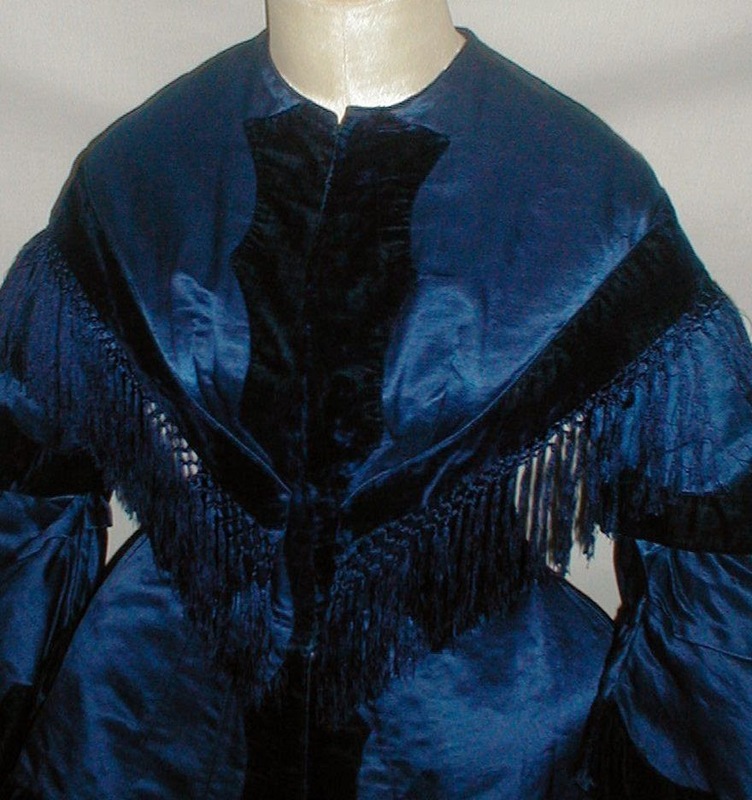 The hip length bodice is decorated with wide bands of dark blue velvet and dark blue silk fringe. 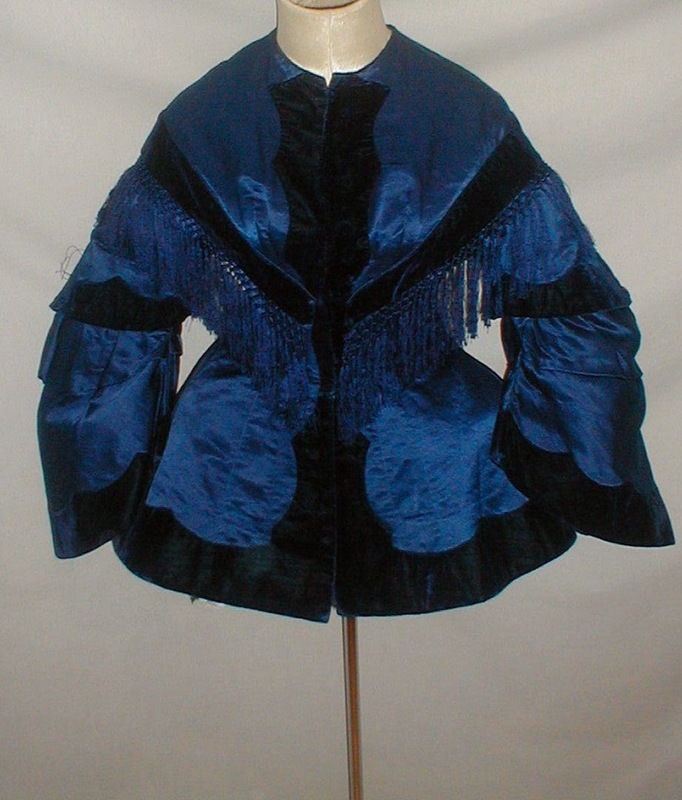 It has pagoda styled sleeves that are trimmed at the top with velvet bands, dark blue velvet decorative buttons and silk fringe. 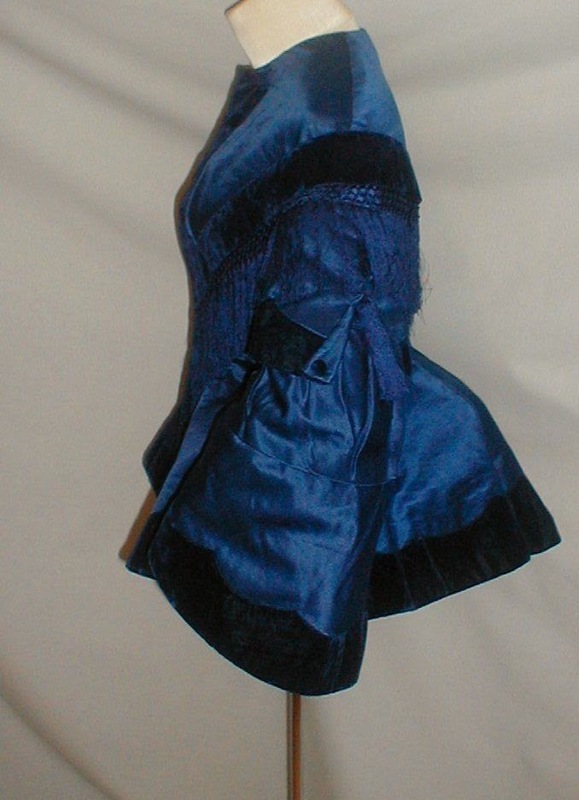 The inside is lined with cotton and the bodice has a front hook and eye closure. The bodice is in very good condition. There are no holes or splits in the fabric and no underarm discoloration. 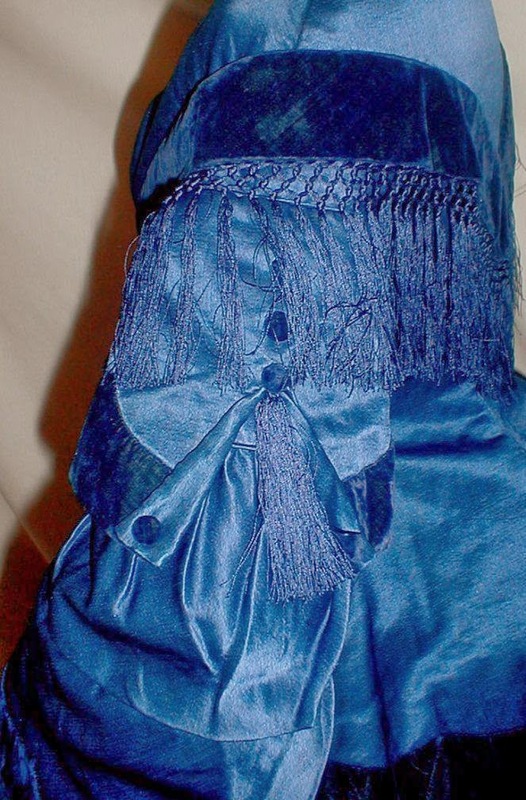 One of the velvet bands on one shoulder is loose and will need some minor re-stitching. Bust 32 Waist 24. 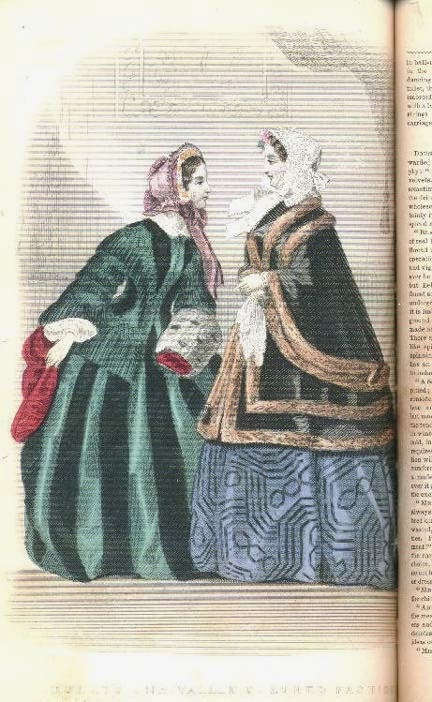 The fashion plate below is from Nov 1855. 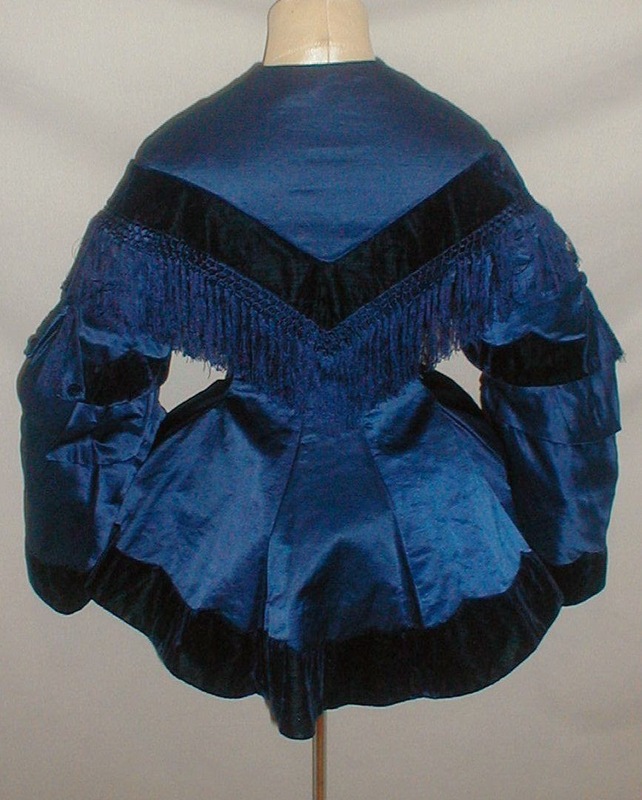 The bodice above is from the same time frame - not the 1860's.